Well, here it is, the whole museum, as of March 26, 2005. 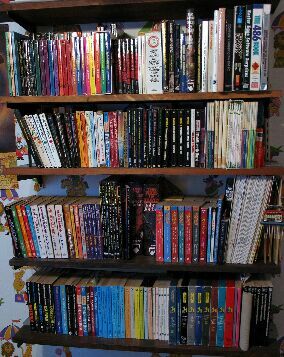 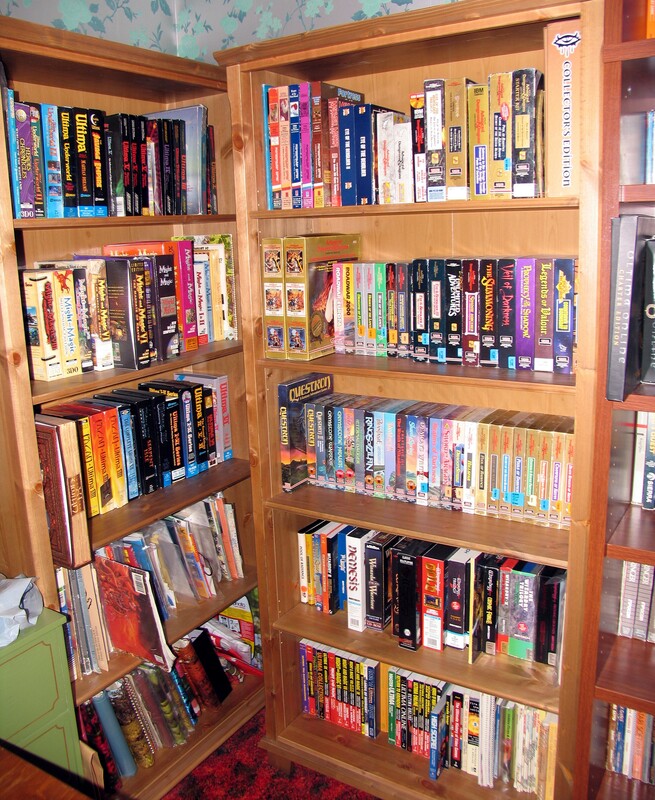 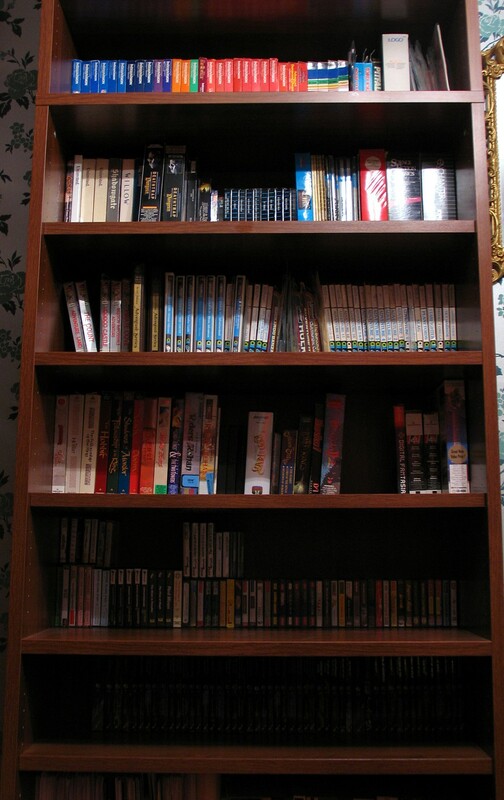 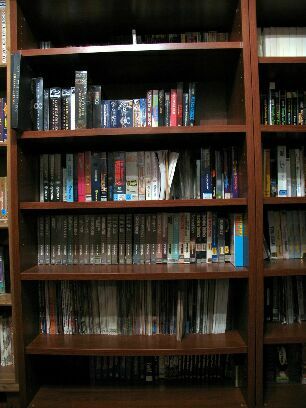 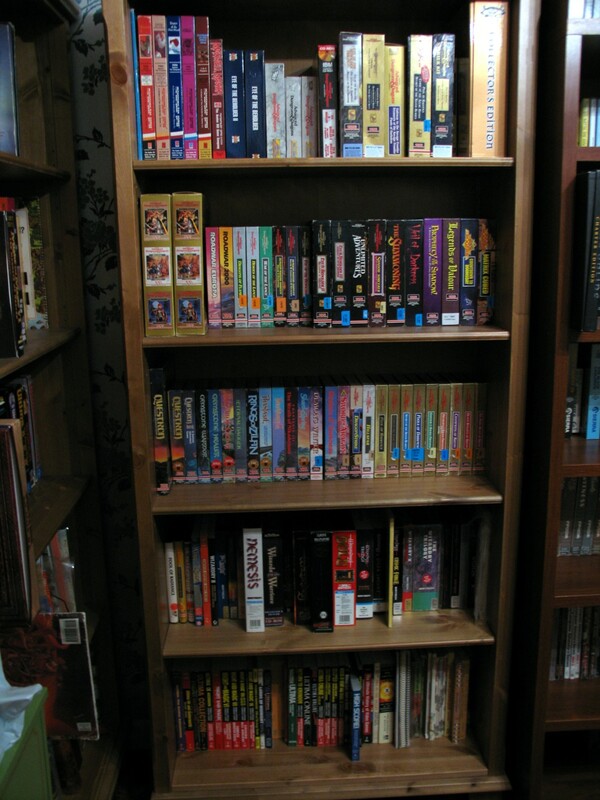 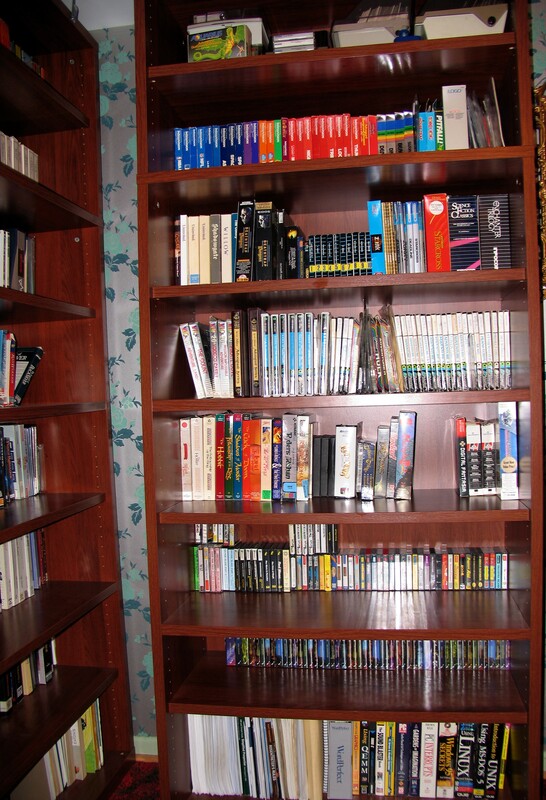 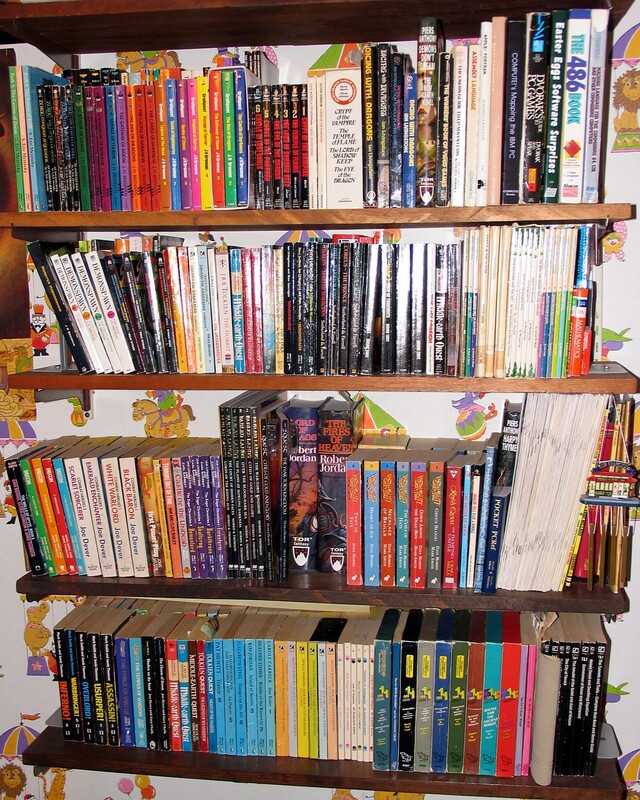 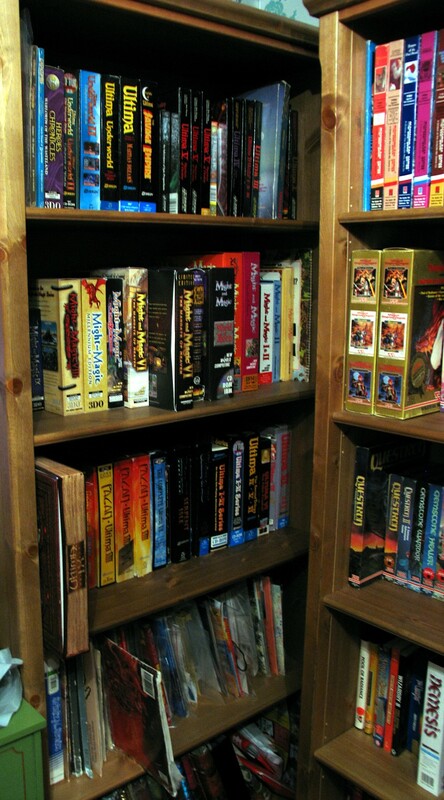 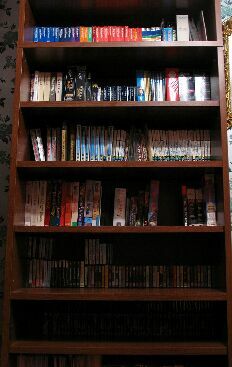 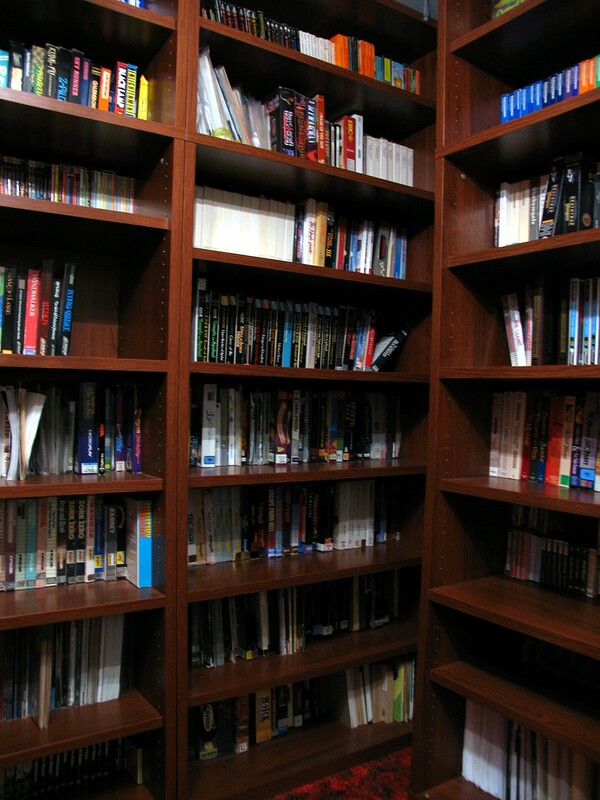 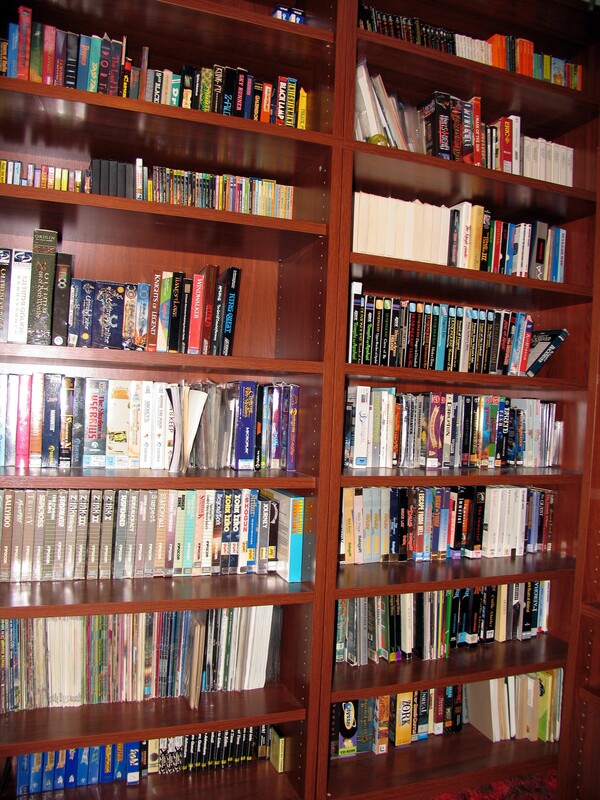 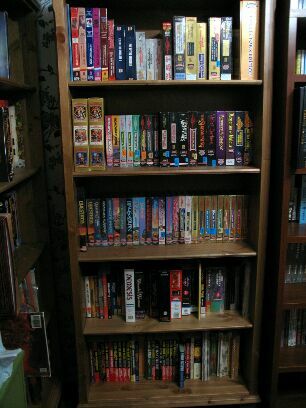 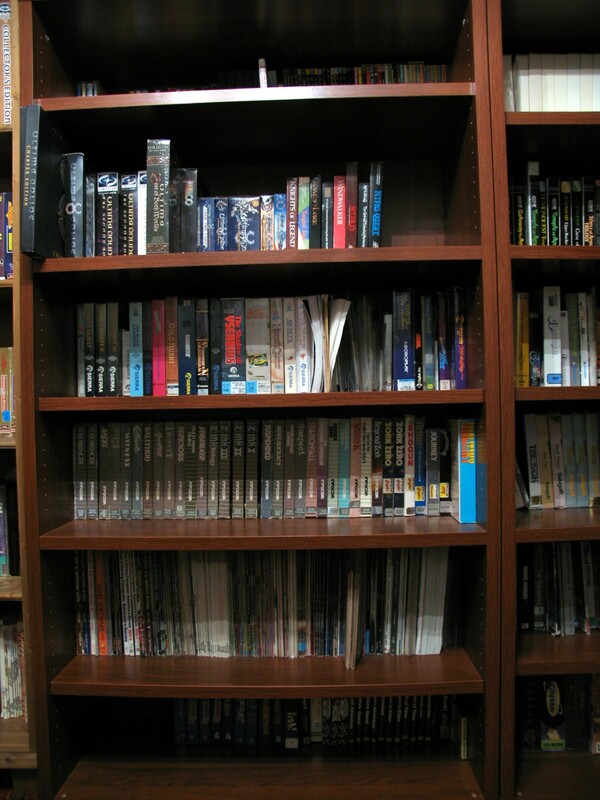 As you can see, games are sorted roughly into sections by shelf. 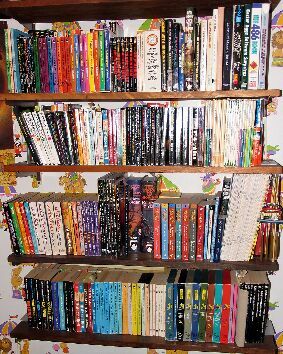 I have provided pictures both with and without flash in this case, as it may be easier to make out some of the titles with the flash in this case - I do not have enough in-room lighting to take a clear wide shot like these, at least with my unsteady hands. I would like to give a special thank you to IKEA for making such great, cheap shelving units.